SeaWorld has a significant footprint in San Diego. Here are some key numbers that put its presence in context. SeaWorld has been a fixture in San Diego for almost 50 years. Later this month, the park will kick off an 18-month celebration of this anniversary, a promotional push that coincides with continued fallout from an explosive documentary that’s led to continued criticism of the SeaWorld’s history with its killer whales. I’ve gotten quite a few emails from Voice of San Diego readers who say they won’t visit the park again after watching “Blackfish” but the movie’s impact on the company’s bottom line remains unclear. To assess the potential implications for our region, it’s crucial to understand SeaWorld’s San Diego footprint. Here are some key numbers that put that in perspective. The number of SeaWorld San Diego visitors in 2012, according a report released last year by the Themed Entertainment Association and AECOM, a global consulting group. That placed SeaWorld San Diego among the top 25 theme parks in the world. (It was the 22nd most visited attraction the report reviewed.) SeaWorld Orlando had about 914,000 more guests than San Diego’s marine park in 2012. Disneyland and Disney’s California Adventure Park, both in Anaheim, and Universal Studios Hollywood in Universal City all saw more visitors than either SeaWorld location in 2012, the report found. The number of killer whales at SeaWorld San Diego. Acres SeaWorld rents from the city of San Diego. This includes roughly 172 acres of land and about 18 acres of water within Mission Bay Park. SeaWorld’s marina covers most of the water acreage but there’s also a lagoon area that’s home to the park’s Cirque de la Mer shows in the summer. The approximate rent SeaWorld paid to the city of San Diego in fiscal year 2013 in exchange for use of leased land and water in the city-owned Mission Bay Park. This figure is based on percentages of several SeaWorld San Diego revenue streams between July 2012 and June 2013. 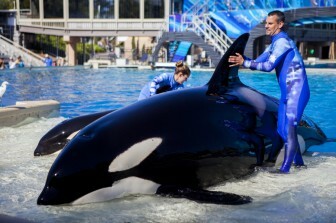 The previous year, SeaWorld paid the city about $12.7 million. That year’s payment made up about 46 percent of the total rent revenue the city collected from its Mission Bay leases in 2012. 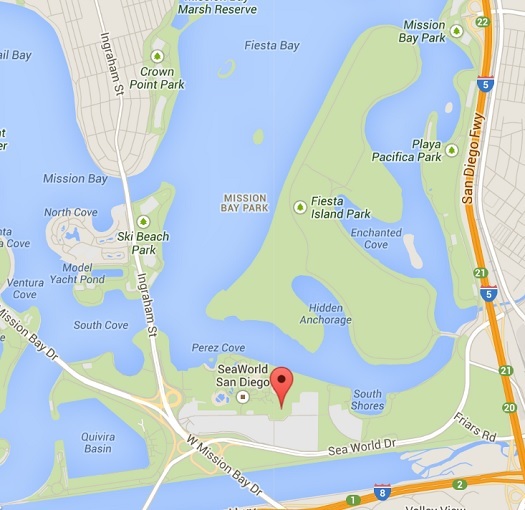 SeaWorld’s lease brings far more annual cash than the city receives from other Mission Bay tenants. By comparison, three major hotels each paid the city $2 million to $3 million in 2012. The projected revenue from all SeaWorld parks in 2013. SeaWorld’s two other parks are in Orlando and San Antonio. In January, SeaWorld released preliminary profit numbers and suggested fourth-quarter attendance at its three parks helped it reach those record revenue levels. Final results will be released next week. The number of employees at SeaWorld San Diego. Staffing varies considerably throughout the year. The park has as many as 4,500 employees working during its busy summer months but the staff count can drop as low as 2,500 in the winter, a SeaWorld spokesman said. He said summer employment totals often spike when the marine park opens new attractions or exhibits that require additional manpower. The number of San Diego-area employees at Hubbs-SeaWorld Research Institute. The SeaWorld-affiliated nonprofit consists of 37 research workers, including high-level biologists who specialize in areas including marine mammals, animal bioacoustics, fisheries ecology, bird behavior and marine mammal health. The research center’s headquarters are next door to SeaWorld San Diego but there are also locations in Carlsbad and Brevard County, Fla. All but three of the institute’s researchers work in the San Diego region. Seven other local staffers provide support. The overarching goal of the institute is to uncover solutions to deal with human activity that interferes or conflicts with marine animals. A SeaWorld spokesman says graduate students and interns also regularly work at the institute. The number of San Diego County residents who have worked at SeaWorld over the last 50 years, according to the company. The approximate number of animals who live at SeaWorld San Diego. 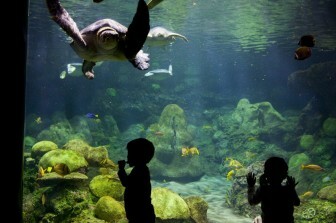 A spokesman said more than 80 percent of the 27,000 animals are fish in the park’s aquariums and touch pools. 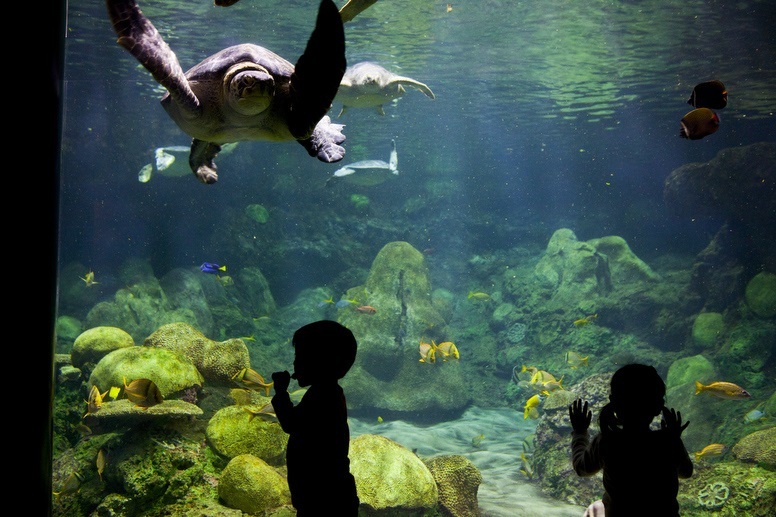 This is part of our Quest: SeaWorld series digging into the park’s impact on our region. Check out the previous story – Takeaways from SeaWorld’s Big Anti-‘Blackfish’ Campaign – and the next in our series – What SeaWorld Returns to the Wild.